Here on the Endpaper Blog, we often talk about the myriad of benefits that come with journalling. Firstly, keeping up the ritual of daily writing has great advantages for budding and even established writers. And secondly, journalling can have an immensely positive impact on one’s mental and emotional health. Journalling can take many forms, from helping to organise your daily routines, to clarifying your thoughts or documenting your experience as you travel the globe. A vital part of maintaining your mental health is cultivating a positive outlook in life. Keeping a gratitude journal is one of the best steps you can take in appreciating and identifying the things in your life that you are thankful for. There’s even science to back it up! For such a simple act, the rewards are plentiful. Not only will you experience increased happiness but better quality of sleep, improved relationships and fewer sick days! The best approach is to start with listing three things you are thankful for each day. Start with basic material things you are thankful for, like the hot water in your shower, your morning coffee or your favourite blanket. Then begin to branch out to the bigger things, such as your achievements and the special people in your life (you could even tell them directly!). Turn things back around to you every now and again and remember to explore and acknowledge the things you are grateful for about yourself. Think about your abilities and strengths; also think about the attributes people have said they have admire about you. 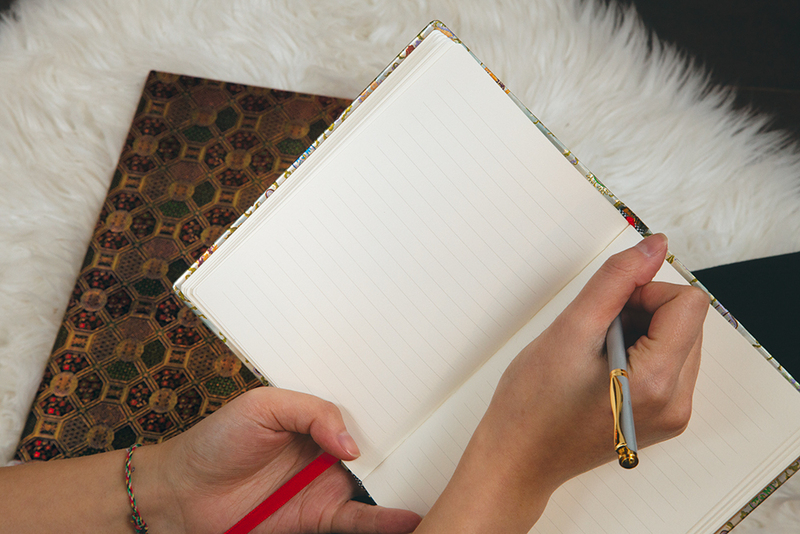 It takes approximately three weeks to form a new habit, so stick to your journalling like glue. Set a reminder on your calendar and schedule in a time every day that you sit down and journal for at least ten-to-fifteen minutes. Find a time in the day that works best for you. Nighttime is often a popular choice as you can reflect on the day while helping you to unwind for sleep. 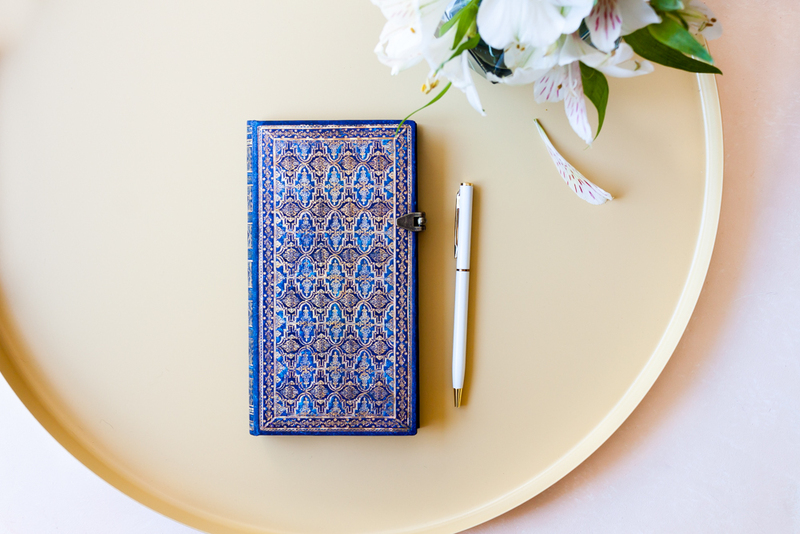 Have you tried gratitude journalling? 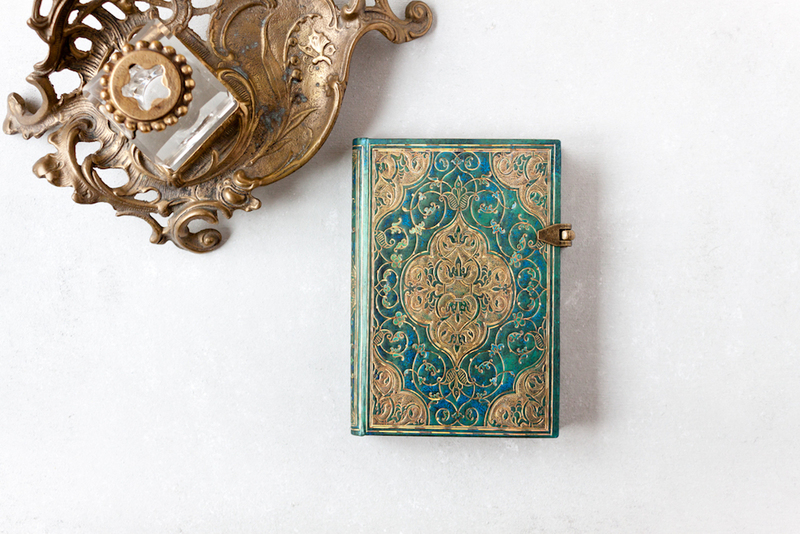 When creating our Paperblanks line, we were driven by a desire to keep the beauty of books alive. By drawing inspiration from great artists and craftspeople, our aim is to help you feel inspired and creative every day and to help you create your own personal pieces of art. For more about Paperblanks and our journals, visit our website at paperblanks.com. Previous articleOur Newsletter Is Back! 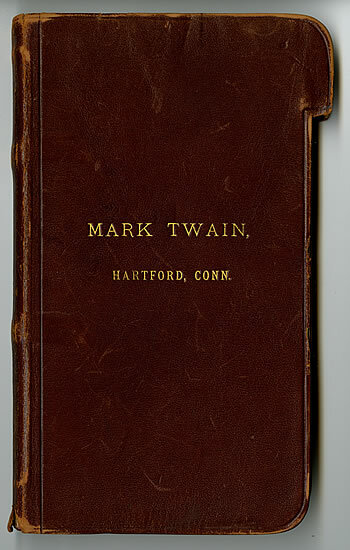 Next article2019 12-Month Planners Are Now Available! In the first photo, what is that Paperblanks book? I love the size! Thanks! That’s our new Blue Rhine design in the Slim size format.